We offer our Delica beads in 10+ gram lots (expensive colors in 5+ gram lots) -- Packaged in Hangable 4-inch x 3/8-inch tubes! 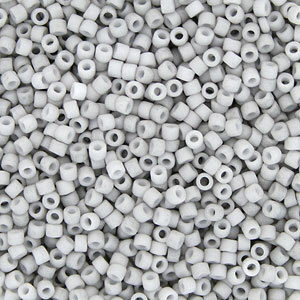 There are approximately 2,000 Size 11/0 Delica Beads in a 10 gram tube. Uniform size and shape make Delica® beads perfect for precision seed beadwork. There is absolutely no better seed bead for brick and peyote stitch projects. Manufactured by Miyuki Shoji of Japan, Delica beads feature a very large hole, allowing for multiple passes of your needle and thread. Delicas are widely used in the making of amulet purses. Delica Seed Bead work on a loom or free form stitch turns out beautifully as the perfectly squared edges of the Delica beads lock into place. 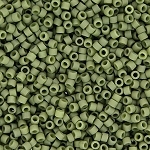 Japanese seed beads are perfectly consistent in size from bead to bead, and have more durable finishes than Czech beads. Since Miyuki Delica Seed Beads are so uniform and consistent in size, they also work well as spacers between semi-precious stones and crystals, too!